When President Lyndon B. Johnson issued an executive order on Aug. 26, 1965, excluding marriage as a draft deferment for any date there afterwards, hundreds of young, desperate couples from the South West flocked to Clark County, Nevada – the only place they could get married before the order went into effect. 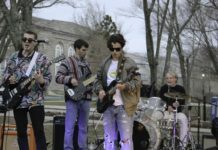 This historic night was the focus of University of Rhode Island alumna Ashton Avila’s short film “I Got You Babe,” which she both wrote and directed. The film follows Beth Stamper, a young, small town girl with a job in a diner, a boyfriend named Russ, and an acceptance letter from Stanford University. Her idyllic life is thrown for a loop when Johnson issues his executive order, putting many of her friends, including Russ, in danger of being drafted. Scared and erratic, Russ hatches a plan to travel from Orange County, California to Clark County, Nevada and marry Beth before the clock strikes midnight and the executive order comes into effect. What Russ fails to consider, in his haste, is whether Beth will be willing to default on her collegiate dreams and give up her life so that Russ may keep his. For Avila, the idea for the film came about when she herself was an undergrad in The University of Rhode Island class of 2013. When Avila studied “Rebel Images In Film” with Professor Thomas Zorabedian, she became inspired by the Vietnam era and the stories of draft dodgers. The film truly began to take shape when she came upon the real life story of Claudia Reott, who, on the night of August 26, 1965, travelled to a church in Las Vegas, Nevada to wed her then boyfriend David and save him from the draft. What drew Avila to Claudia’s story more than any of the other hundreds of couples who did the exact same thing was the reluctance Claudia felt, which made her the very last bride to be wed that night before the executive order fell. Avila met with Reott while developing the film during her graduate studies at Chapman University, and knew immediately that she had found her story. To embody and pay respect to Reott’s story, Avila created the films reluctant but strong-willed protagonist, Beth, played here by Taylor Owen. Avila, who cast the film herself, insisted that fellow Chapman student Owen was the right person to carry the film, despite having been primarily a comedic actress in past projects. After her first script reading with co-star Matthew Derek Davis, who plays Beth’s possibly doomed boyfriend Russ, Avila said there was no doubt that Owen was just what the film needed. “She is the reason the film works”, Avila said. The capable leads are supported by Lesette Maxwell as Lucy, who is pregnant with the child of Dean, portrayed here by Adam Navas, and URI alumnus Judy Nazemetz in the role of Mabel, a God-fearing gas station attendant. 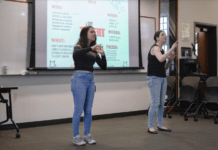 The film premiered at LA Shorts, and went on to be screened at the Rhode Island International Film Festival and the Skyline Indie Film Festival in Virginia, where it was met with near unanimous praise. 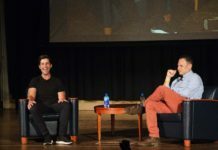 When asked if she had any words for young filmmakers at URI who find themselves in the same position she was in not too many years ago herself, Avila urged students to persist their efforts. 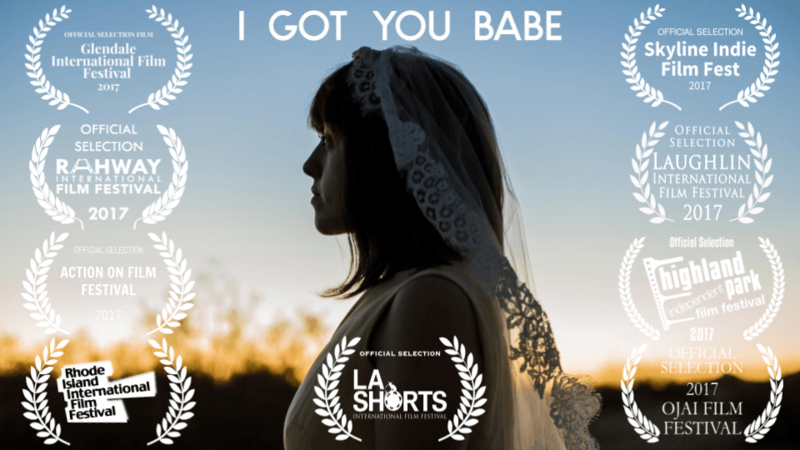 Avila looks forward to continuing the festival rounds and continuing her career as a filmmaker, with projects including a feature-length screenplay for “I Got You Babe.” She is currently developing the feature-length screenplay alongside Shamola Kharkar, who produced the short. For future screening and festival appearances of “I Got You Babe,” visit www.IGotYouBabeFilm.com.